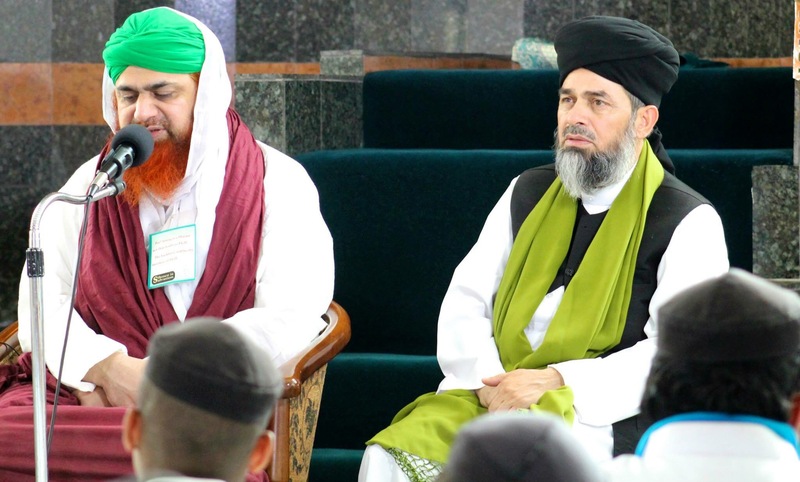 Alhamdulilah, on Wednesday 3 September 2015, Darul Uloom Pretoria (Pretoria Islamic Educational Centre) was blessed with the presence of the World loved and respected Muslim scholar Nigran-e-Shura (head of advisory council of Dawati Islami) Hazrat Haji Imran Attari accompanied by Mufti Abdun Nabi Hameedi and Hajee Noor Muhammed amongst others. His eminence was welcomed enthusiastically by the students of the institute, who were eager to gain advice and knowledge from a scholar who has been a means of guidance for many people all around the globe. Nigran-e-Shura met with the principle and educators at the institute and expressed his appreciation for the work being done in the field of education and Dawah. Students of the institute were then fortunate enough to be advised and inspired by his eminence, whose precious Madani pearls sank deep into the hearts of all, leaving not only smiles on the faces but also contemplating hearts. Amongst his pearls of wisdom he stressed upon the following: whilst studying,there is a lot of expectation from a student of the Deen and he should fulfill these expectations not only of his family but also of his community and the Ummah at large. His eminence, along with the Ullama that were part of his entourage, later visited another branch of the institute in Cape Town. At the CTIEC – Cape Town Islamic Educational Centre, his eminence was once more welcomed with joy and enthusiasm by the staff and students of the centre. He was then given a tour of the institute and its facilities and advised the students on the importance of gaining Islamic knowledge and acting upon him. The principle, educators and students of Darul Uloom Pretoria are extremely great full for the opportunity that they have had in gaining knowledge and wisdom from a dynamic scholar of Islam and we pray that Allah Almighty grant his eminence a long, health life so that he may continue serving the glorious religion of Islam. Maashaa Allah! He is one of the outstading lerutces! Woderfull. Any body will like his speach. He gives his speach so well that any body can understand what life is and what the listner shoul lean to..! Well done. Mufti will be lessed here and hereafter by Almight Allah Thaalaa. May Allah protect all of us. Alhamdulillah I can’t stop myself to lnnteiisg his lectures everyday. He is a great scholar of Islam Masha Allah. I have learned so many things just my lnnteiisg to him. May Allah protect him and grant him Jannah. Please continue to spread the message of Islam.